An Aberdeen based granite polisher and monumental sculptor, James Wright (1810-76) started as a stone cutter in the city�s John Street in 1838, when he formed a partnership with James Petrie as Wright & Petrie, 1838-46. By 1851, he operated on his own at the Polished Granite and Marble Works, John Street. In the 1870s, he received Letters Patent as a �Manufacturer to Her Majesty�, at 11 John Street, renaming his yard as the Royal Granite Works. 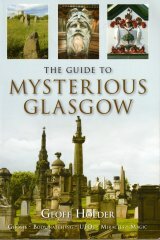 Wright was responsible for the monuments in Glasgow's Necropolis to the engineer Peter MacGregor (1862) and the Aitken family (1882). He also produced the plain, granite obelisk to Isabella Dalziel in Edinburgh�s Dean Cemetery (1858). He lived at 16 Shoe Lane, 1838, and 8 South Constitution Street, 1851. Wright died in 1876, and was buried in Aberdeen�s St. Nicholas Churchyard. His sons William and A H Wright succeeded to the firm and traded as J. Wright & Sons. The firm survived until 1975, by which time it advertised itself as J. Wright & Sons (Aberdeen) Ltd., Manufacturers of Polished Granite and Abrasives.